We met the management teams of over a dozen payments, cards, exchanges and other related companies in the rapidly growing financial technology sector in New York. The financial technology sector (“Fin-Tech”) is expected to continue to benefit from multiple structural tailwinds including the growth of e-commerce and growing technology adoption. However, high competitive intensity, rapidly evolving consumer preferences and a wide variety of business models (including payments, exchanges, data providers, online banks among others) imply that not all Fin-Tech companies are created equal. The Hamilton Capital Global Financials Yield ETF (HFY) has ~5% exposure to the sub-sector, primarily in non-North American exchanges. Industry consolidation, trade automation, rise of exchange traded products (ETPs) and growing data demand remain structural growth drivers for the U.S. exchanges. Near-term an increase in regulatory and competitive scrutiny on data pricing could impact pricing power,. Exchange executives do not expect any impact on long-term market structure or pricing as a result of this scrutiny. In Europe, some executives opined that Brexit could result in fragmentation of market volumes and be a possible impediment to any large-scale consolidation in Europe in the near-term. 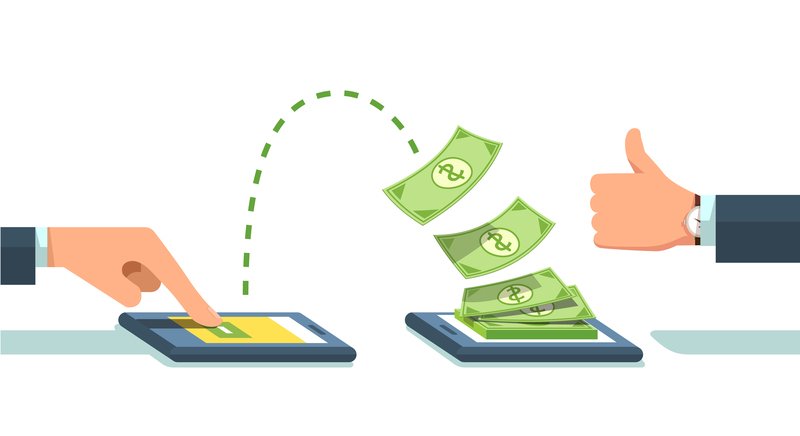 The global payments space continues to enjoy strong secular tailwinds from a rapid shift away from cash/cheque based transactions into electronic and digital payments channels. However, barring the large payment network providers, which operate as a virtual duopoly and thus enjoy strong pricing power, others across the global payments value chain remain on a less firm footing. Payment companies we met at the conference remain excited of the long-term opportunity in fast growing emerging markets and indicated willingness to work around recent regulatory and policy changes in two large, fast growing emerging markets – India and China – which now prefer domestic payment platforms. Companies also see a growing opportunity in Business-to-Business (B2B) payments (particularly among small and mid-market merchants) where the market opportunity is large and card penetration rates low. With strong secular growth drivers, companies expect the current strong pace of M&A to continue in the payments space. That said, competitive intensity remains high particularly between legacy payment companies (including the merchant acquirers) and a growing array of progressively well-funded new entrants. More generally across the payments sector, rapidly evolving technology raises disruption risk and changing consumer preferences imply competitive advantages may have a potentially shorter shelf life than in the past. Medium to long-term, new entrants in payments are likely to continue to attempt to cannibalize the lucrative payments business of the traditional banking sector. Yet in the near term regulatory barriers remain significant. U.S. credit card giants are optimistic on the U.S. economic outlook, consumer spending trends and a still benign consumer credit cycle. Against the backdrop of a resilient U.S. labor market, credit card companies were maintaining underwriting discipline and expected stable trends in credit quality. In recent months, competitive pressures had eased and management teams told us that they had since observed limited (if any) pockets of irrational rewards-based competition. From a long-term perspective, structural shifts in the retail sector and changing consumer preferences have raised renewal risks for the sector and management teams expect to make continued investments in integrated payment/technology platforms in the medium to long-term. The financial technology sector is represented by the KBW NASDAQ Financial Technology Index (KFTX). On December 19th, 2018, the Securities and Exchange Commission (SEC) launched a Transaction Fee Pilot with the aim of understanding how transaction fees and rebates impact execution quality in U.S. stock markets. The SEC has indicated that the pilot may lead to potential regulatory action. On January 7th, 2019, nine large U.S. banks, asset managers and brokers announced plans to launch a low-cost stock exchange known as the Members Exchange (MEMX) to rival the three incumbents – NYSE, NASDAQ and CBOE. Global payments revenue stood at US$1.9 trn in 2017 and grew at a ~7% CAGR from 2006 levels. Source: McKinsey. On July 31st, 2018, a federal regulator – Office of the Controller of Currency (OCC) – announced that it would begin accepting National Bank Charters from Fin-Tech companies. With high capital and liquidity requirements, there has been limited interest from companies as well as litigation from State Governments and regulators.